The pilot life is simple. 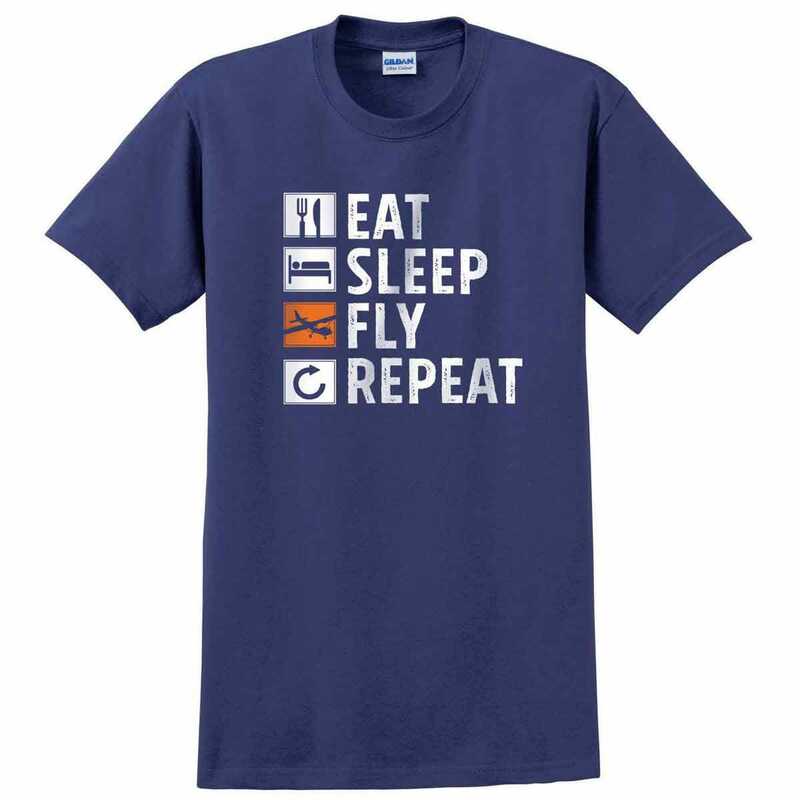 All we need to do is “Eat, Sleep, Fly, Repeat”. 100% cotton in metro blue.